The Porsche 911s are probably the most successful sport cars ever, designed in the early 60s they were continuously updated with the best knowledge and technology. Their forty years racing history is legendary as they won some of the most prestigious races : the Monte-Carlo rally, Daytona 24 hours, Le Mans 24 hours, Targa Florio and even Paris-Dakar. In 1994 endurance races had turned from Prototypes to GT cars, in the new BPR championship which later became the FIA-GT, three categories appeared : GT1, GT2 and GT3. 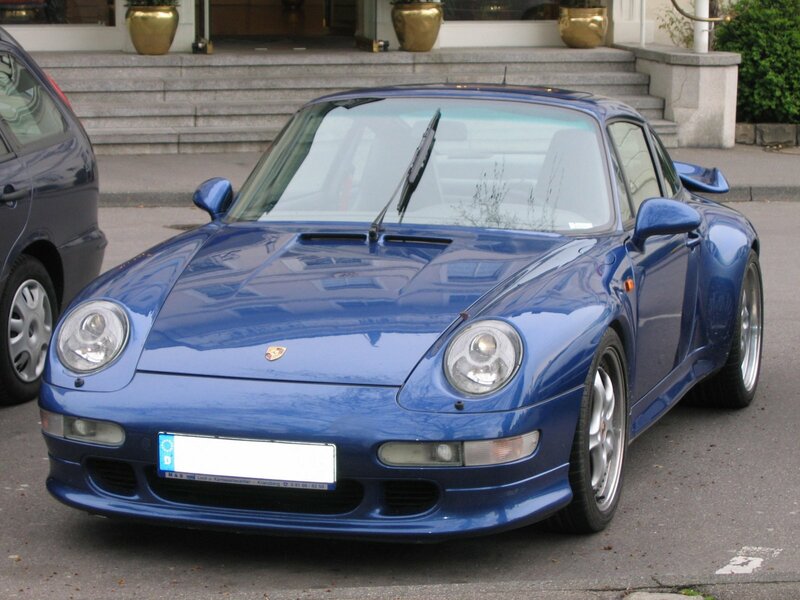 The new 993 introduced in 1994, was then the perfect basis for a high performance GT2 class race car and the first factory GT2 appeared in 1995. They soon became private teams’ preferred GT2s and some as Freisinger were semi-factory backed. 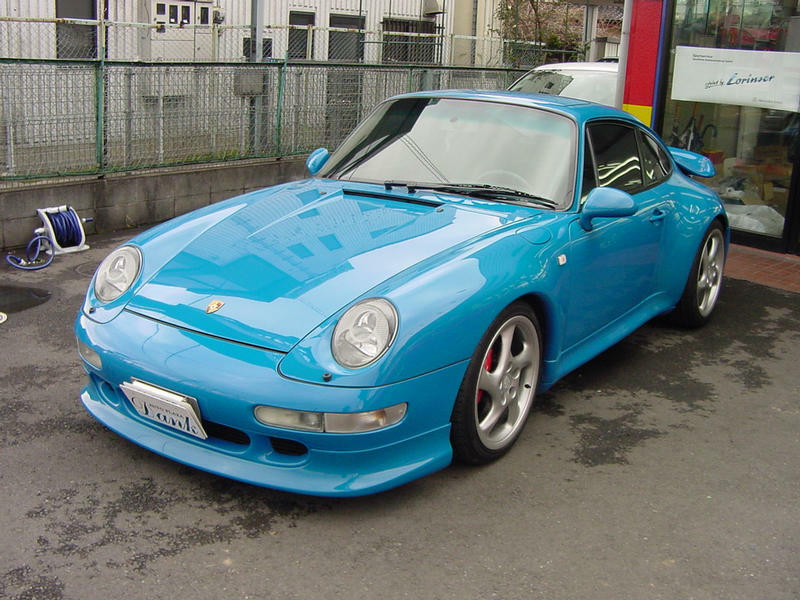 993 GT2s were terribly quick cars with 500 HP and good chassis. However with the arrival of the Viper GTS-Rs in the class the task became more and more difficult from 1997 and soon impossible when the Oreca Team pushed the Viper’s development due to the all new Corvette C5R arrival. Roock racing was created in the 80s and went to Porsches in 1991 after success in Carrera Cup, SPA 24 Hours, ADAC-GT went to endurance racing in BPR. Success came quickly as they won the GT Class at Le Mans in 1996. Due to the very important competition in the category, Roock Racing took it technical independence from factory GT2s to keep their cars competitive and made their own development managed by Mike Gramke. From 1998 Roock cars benefited of : 600 HP 3.8 engine, sequential Gemini gearbox, Thielert engine management, repositioned radiators and fuel tank, tracks increased by 7 cm, a lightened and reinforced Matter tub and revised air circulation with specific floors. 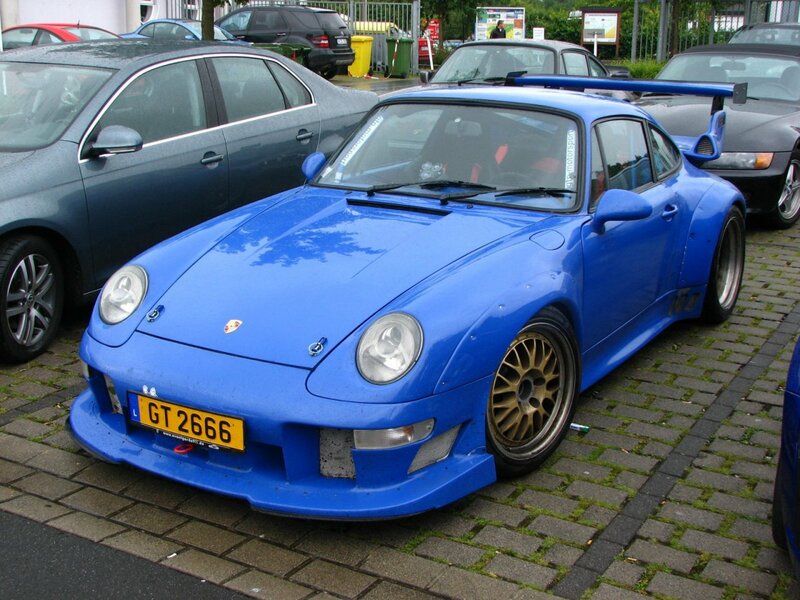 They are the lightest 993 GT2s ever built at Le Mans 1998 they were only 1060 kg. So which color is the darker of the 3? The turquoise? 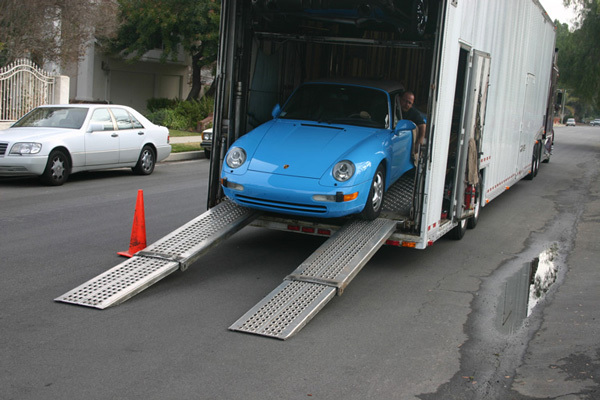 and I thought I collected a lot of blue 993 pix... wow curvelover. Mark-- Thanks, but I think you win; you have a life-size version in your garage! 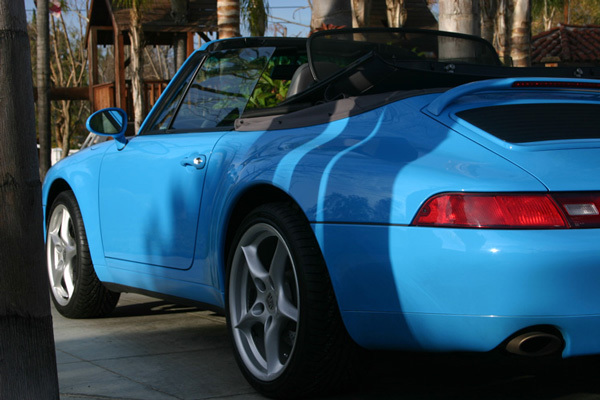 There's a reason I start photo threads (Speedster; 'Laugh or cry'; was about to start a Seinfeld blue thread when Tim beat me to this great idea): I have so many shots of rare 993s. However, the # of my blues don't compare to # of my Speedster pix. 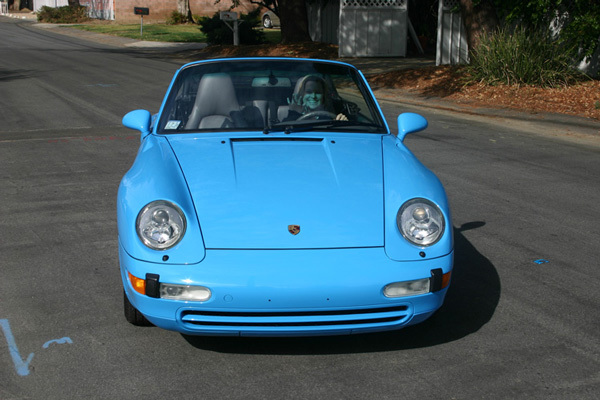 Too bad I can't find a single 993 Speedster - conversion or otherwise - in Riv/ Mex/ Turq blue. Anyone? The code 3AS signifies Blue Turquoise (water based). That is not "Blue Turquoise Pearl." Unless you have seen that in person, I think that it may be confused. ^^ Thanks, Dan. I was going off JPP's below reference to Adrian Streather's 993 Companion book. 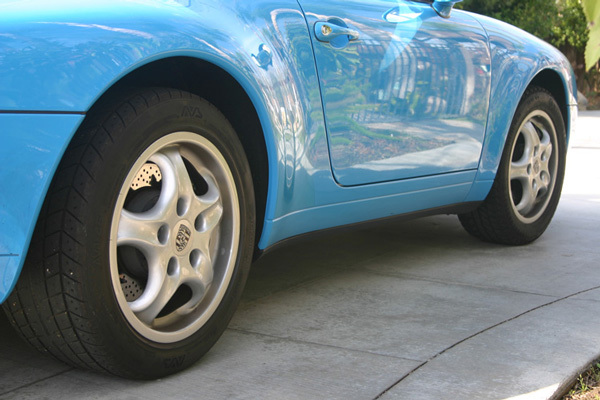 39E and 3AG are both the same Riviera Blue, the 3AG indicates a water based paint system was used. Streather's book lists two OEM variants for each of these colors with different codes that are Water Based 'Pearl Effect' paints: 39E = Riviera Blue, 3AG = Riviera Blue Pearl Effect and 3AR = Blue turquoise, 3AS = Blue turquoise Pearl Effect.